No code needed. 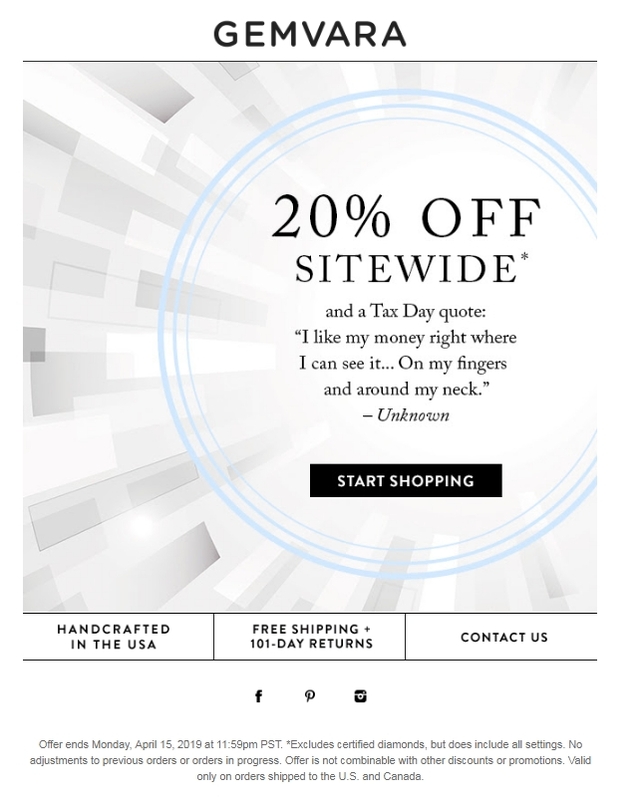 Click the button to redeem your discount at gemvara.com. Expired 2d ago . Last validated 3d ago . Nolo Botana No coupon code required. Discount taken from original price. Online price reflects discount. Offer cannot be applied to previous purchases or be combined with other discounts or offers. Not redeemable for gift cards, cash, or credit.